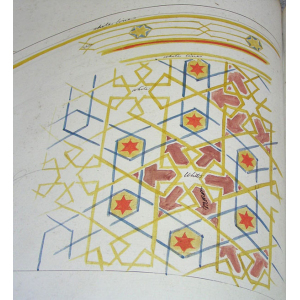 Summary: Pattern book including patterns for coal vases, ink-stands, candlesticks and trays. 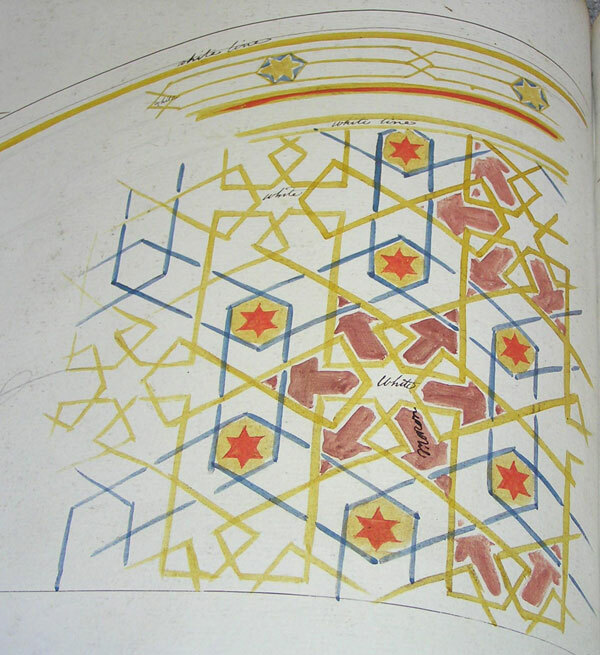 Description: Geometric designs were a popular form of decoration during the 1800s. Pattern books are an excellent source of information about the japanners of Wolverhampton. This particular example suggests that the most popular products of 1849 were coal vases, inkstands, candlesticks and trays. The book also lists a variety of ground colours used for japanning, including maroon, salmon, white, blue and tortoiseshell. In addition, it mentions the names of the artists employed by Henry Loveridge & Co, such as Haesler, Perks, Sadler and McCullum. Contains numbers B930 - E543, pages watermarked for 1849.